IRELAND - THE RETURN: Think You've Toured Ireland, Check This Out! Select a video link above to play - Not all videos from our tour. Purchase your own flights, on-line deals, points, frequent flyer miles, etc. Extend your trip, or Dublin - Dublin, depart Friday a day earlier than our group. Lots see & to do in Dublin! No hidden fees, all inclusive! Free time to check out the local spots and a whole lot more! Irish guides, group escorts from Boston, Trip SWAG! Before and after trip get-together's! Land only package (get your own air, use points, extend your trip, etc. ), Discounted group air availible August 2019. This is a great value, fun filled trip! We believe this trip is unique and much different than other tours of Ireland. Perfect for thoers who have toured Ireland in the past as we tour the "Hidden Gems of Ireland". We are staying in nice "destination" hotels, in great locations and in all but one, we are staying two nights. 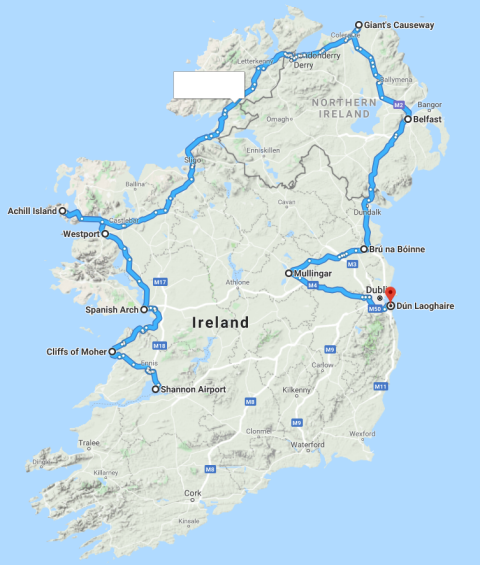 We are visiting some of the best sights in the mid-west and northern Ireland and our trip agenda leaves plenty of time for sightseeing, exploring the local community, visiting the local sights, pubs and restaurants. Because of the agenda it's easy to take a day or more off from our tour, do your own thing and then join back up with us. Our trip includes eight breakfasts and eight dinners. That's breakfast every day and dinner every night. All admission fees are included, so no hidden fees or extra expenses. In addition to our club trip leader and our Irish tour director, we will have professional local Irish guides assisting you and explaining the local sights and history we encounter on our tour. We also have an exciting agenda planed in Dublin city which includes an optional Irish dinner and an Irish traditional music night! Who we are we and what are we about? A review of our 2013 tour of Ireland with pictures! Event Management System by TactiCom, Inc. 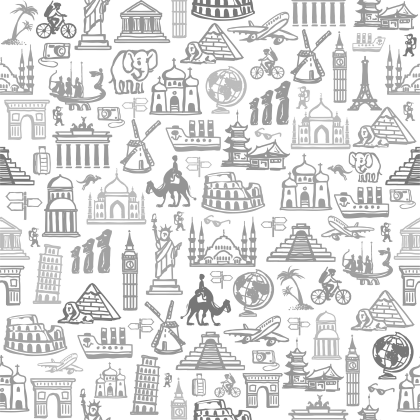 The World Tour - Travel Adventure Club, LLC © Copyright 2019. All rights reserved.